Here are some businesses owned by Topanga residents that might be useful to you. Thank you for your patronage! Topanga Lumber and Hardware is a building materials & hardware supplier providing custom home builders, professional remodelers, commercial contractors, and discerning homeowners. Jalan Jalan Imports is a unique Los Angeles boutique importer of solid stone carvings, petrified wood, teak furniture, indoor/outdoor design elements, hand-crafted furniture and many other unique treasures from Bali and the World. The property where Jalan Jalan is located is spectacular, complete with the historic Owl Falls, a 3-story spring fed waterfall that runs all year long. 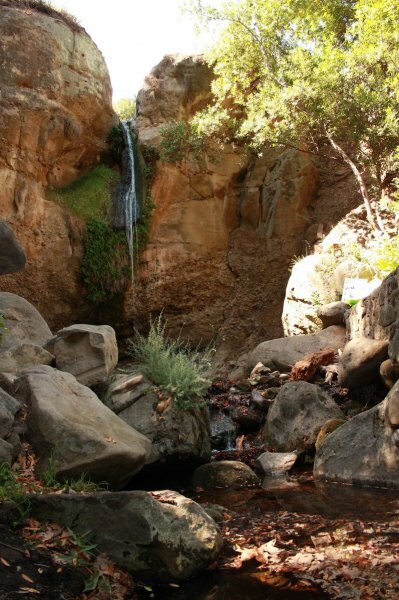 Those who visit the Falls often remark that they feel as though they have been transported to some exotic land that is filled with sights and sounds that awaken the senses and make them feel at peace. Parrot Painting was not founded on a whim. The core of the business concept is the fact that this company will do our job correctly, as we take great pride in our work. 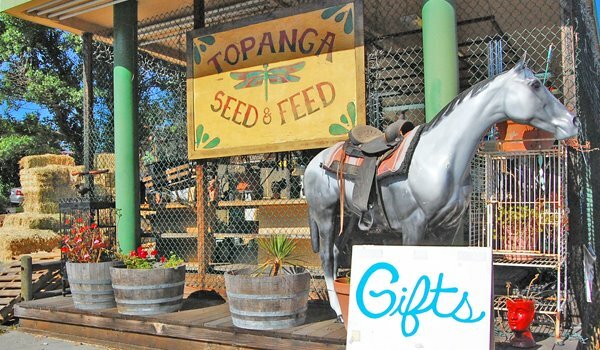 Topanga Feed and Seed. Whether your animals belong on a farm or ranch, in the house or yard, or just stop by to visit, this is the place you have been hoping for. Food for animals big and small. Garden supplies. Gifts galore. Need wind chimes or garden gnomes? Perhaps a little pet food or beverage. Tired of shopping at the mall and looking like everyone else? 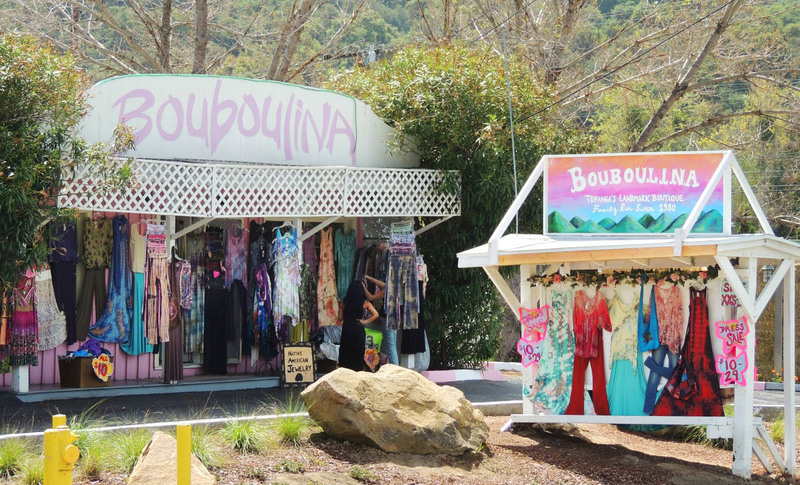 Bouboulina fills the niche between high-end fashion abodes and mall chains. Not only can you find unique clothes but we provide the star treatment as your personal stylists. Besides our own exclusive tie dyes and hand knits, we carry lines from Tibet, Argentina, and Pakistan.